At Honda environmental policies are about action, not just research. Their policy is ‘The Road to Zero Emissions’ and everything they do is intended to progress this aim. Back in the 1970’s Honda pioneered the reduction of emissions with the CVCC engine and this has continued ever since with over 40 years of engineering and research into the reduction of emissions. In 2006, Honda became the first automaker to announce voluntary CO2 emissions reduction targets for its global fleet of automobile, motorcycle and power equipment products and its global network of manufacturing plants. Today, Honda are striving for even greater reductions in CO2 emissions that contribute to global climate change, while also working to minimise waste, water use and the total environmental footprint of its operations worldwide. Honda were the first to launch a production Hybrid powered car with the original Insight back in 1999 and have since sold over 1,000,000 Hybrid models world-wide. 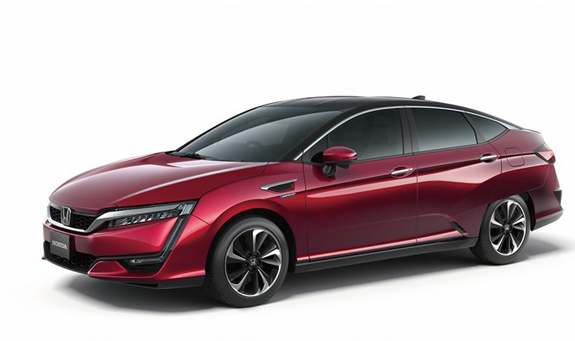 Going further, Honda's FCX Clarity was the World’s first production Hydrogen Fuel-Cell vehicle, a zero-emissions car emitting only water vapour. It has led the way for their latest fuel cell model, the Honda FCV, launching in 2016, the 3rd generation Fuel Cell Vehicle. “Earth Dreams Technology is Honda’s next generation series of powertrain technologies which greatly enhances both driving performance and fuel efficiency at a high level through the improvement of internal combustion components including the engine, along with the transmission, and also through the advancement of electromotive technologies applied to motors and other components.” Takanobu Ito, President, Honda Motor Ltd. The most recent initiative in Honda's road to zero emissions is the Earth Dreams Technology series. A range of engine and powertrain technologies which are developed to set new standards in the motor industry for efficiency and driving pleasure. The Earth Dreams Technology range has appeared in Ireland with the introduction of the 1.6 i-DTEC diesel engine. With class-leading real-world fuel consumption and emissions, it is the lightest engine of its type in the world. Globally, the Earth Dreams Technology series will grow to include diesel engines, petrol engines, hybrids, CVT transmissions and electric vehicles. Our first diesel engine, the i-CDTi, was known as the ‘whispering diesel’ for its uniquely quiet operation and refined driving experience, since then we have continually improved on the technology to make our latest i-DTEC diesel amongst the best in the World. Honda developed an Earth Dreams Technology diesel in late 2012 with the introduction of advanced 1.6i-DTEC, the first of the Earth Dreams series to arrive in Europe. The new engine is the lightest engine of its type in the World and is the first in our 'Earth Dreams Technology' series of next-generation engines and transmissions. The 1.6 i-DTEC diesel produces 94g/km of CO2 in the Civic and uses as little as 3.6 litres of diesel for every 100 kilometres driven. In the CR-V, it produces 119g/km of CO2 and uses 4.5 litres of diesel per 100km. The Honda 1.6 i-DTEC has been winning many awards since being introduced. What Car Magazine has named the Civic the most efficient car which they had tested throughout 2013 in their stringent True Economy Tests, while CR-V took the same title for SUV’s? Most recently, our 1.6 i-DTEC engine won a GUINNESS WORLD RECORD for fuel efficiency. A production model Civic Tourer undertook an epic journey across all mainland European countries, averaging 2.8l/100km (100.3mpg) across the massive journey, again proving the real-world fuel economy of our Earth Dreams diesel. Honda has a long and proud history in the development of the petrol engine with industry milestones such as CVCC and VTEC setting benchmarks for efficiency and drivability when they were introduced to the market. Our latest range of Earth Dreams Technology petrol engines are now powering the New Jazz and New HR-V for increased fuel efficiency and reduced emissions. The Jazz is powered by a 1.3 i-VTEC, while the HR-V features a 1.5 i-VTEC - both part of the Earth Dreams Technology series. Honda are continuing to progress petrol engine technology with the introduction of the new i-VTEC Turbo range of engines. Currently being developed in 1.0, 1.5 and 2.0 litres outputs, each engine will form part of the Earth Dreams Technology series and offer class-leading levels of power and efficiency. The first i-VTEC TURBO engine for Ireland is the 2.0 i-VTEC TURBO which powers the Civic Type R, showing that Earth Dreams Technology can also be applied to our most exciting sports models. Petrol-electric Hybrid Technology has long been a priority at Honda. While many of our rivals are only now developing these models, Honda has had Hybrid vehicles on sale since 1999.Our unique IMA Integrated Motor Assist system matches a petrol engine to an electric motor. The electric motor works in tandem with the petrol engine, meaning that the engine is then used less often, and sometimes not at all, for improved fuel economy, particularly in urban driving. The original Honda Insight, launched in 1999, was the World’s first production Hybrid vehicle. Since then, Honda has produced many Hybrid models such as the CR-Z, a sports coupe which features the World’s first manual gearbox in a Hybrid vehicle. Our latest Insight represents all that we have learned about Hybrids in our many years of experience. 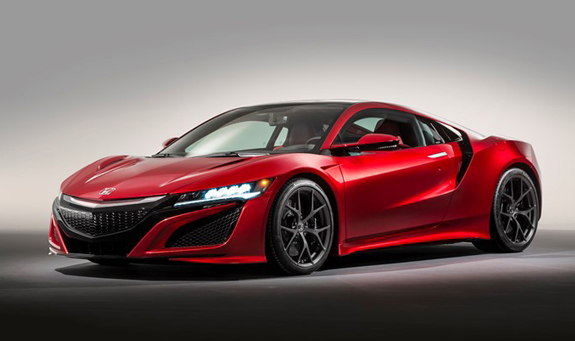 The future of Honda Hybrids is represented by the upcoming Honda NSX. Powered by a Sports Hybrid system with SH-AWD Super Handling All Wheel Drive, it uses an Earth Dreams Technology V6 petrol to power the rear wheels, with a 3 Motor Hybrid system powering the front wheels and transmission. Honda has led the industry for nearly two decades in the development and deployment of fuel-cell technology. While many competitors are only now developing hydrogen vehicles, at Honda we will soon launch our third generation Fuel-Cell vehicle. A Fuel-Cell vehicle runs on Hydrogen. The Fuel-Cell converts this hydrogen into electricity which powers the vehicle. The only emission from this process is water vapour, making the Hydrogen Fuel-Cell a true zero-emissions vehicle. The first Honda powered by Hydrogen was the FCX in 2002. This was followed by the FCX Clarity in 2008. The FCX Clarity was named World Green Car of the Year for 2009 and became the World’s first production fuel-cell vehicle. The FCX Clarity was immediately heralded as a technological breakthrough in the areas of design, packaging and efficiency. As the world’s first dedicated fuel-cell vehicle, the FCX Clarity features a striking silhouette and a low-slung cabin. The FCX Clarity has been on sale in the US and Japan since launch, with a number of models also placed in Europe as part of research and development projects into Hydrogen fuel and infrastructure. The third generation of Honda Hydrogen Fuel-Cell vehicle is the Honda Clarity which debuts at the Tokyo Motor Show 2015. Significant technological advances have been made with a cruising range of over 700km. The fuel stack has been reduced in size over previous generations and is now fully housed in the engine bay of the vehicle to allow for a more practical 5 Seat layout. The Honda Clarity will go on sale in selected global markets in 2016. 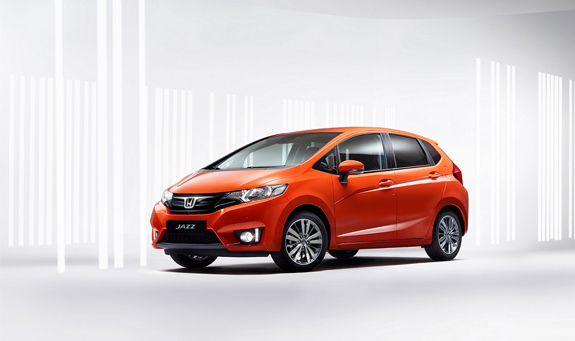 The Electric powered version of the Honda Jazz is now on limited sale in the US and Japan. The Jazz EV has been rated with the best fuel economy of any electric vehicle on sale in the US today. Honda have signed agreements with Google and Stanford University to perform trials of the vehicle as part of a research and development project to progress electric vehicle power. The Jazz EV continues Honda’s research into the potential of electric vehicles, research which has its origins back with the Honda EV Plus that was introduced in 1997. 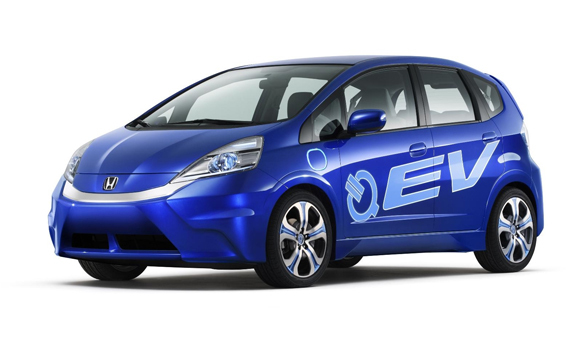 In this new electric vehicle, Honda applies its latest technologies and ideas cultivated through research and development of electric mobility products including electromotive powertrain technologies used for the latest hybrid and fuel cell electric vehicles. 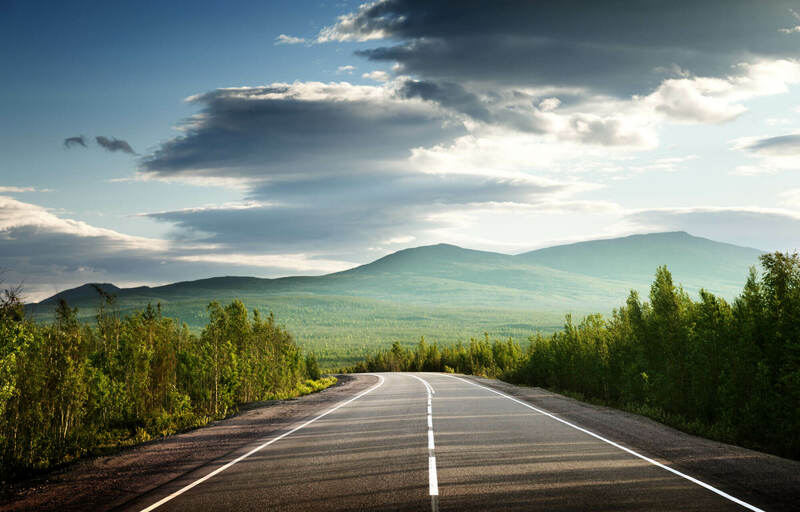 Reducing environmental impact is about more than the power source, it is also about how the car is driven. Honda’s Idle Stop system is available on many models in the range, including Insight, CR-Z Hybrids, as well as the CR-V and Civic manual models. Idle Stop works by automatically stopping the engine when the car is at a standstill. In city traffic, much of a journey is spent at a standstill, thus wasting fuel. Idle Stop cuts the engine, while still maintaining all of the cars interior functions. The engine automatically restarts in an instant when the driver takes action to move away. Driver behaviour has a significant impact on fuel consumption. Regardless of the fuel-saving technology featured within a car, a driver with a ‘heavy foot’ can use significantly more fuel than one who drives in an efficient manner. Our Eco Assist system is a driving coach which continually monitors behaviour and informs the driver of how their driving style impacts on consumption. 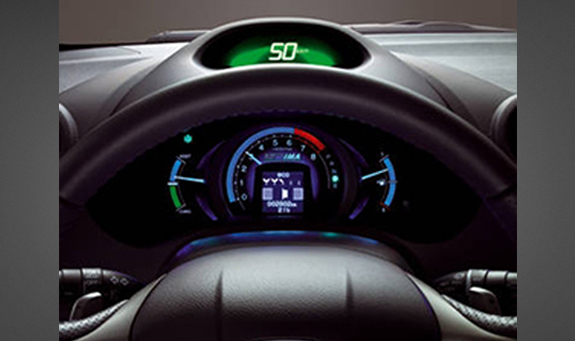 Subtle dashboard lighting will glow green for eco-friendly driving, and this will slowly change colour if the driving style is not as efficient as it could be. This simple driving aid has been shown to have a significant impact on fuel consumption. 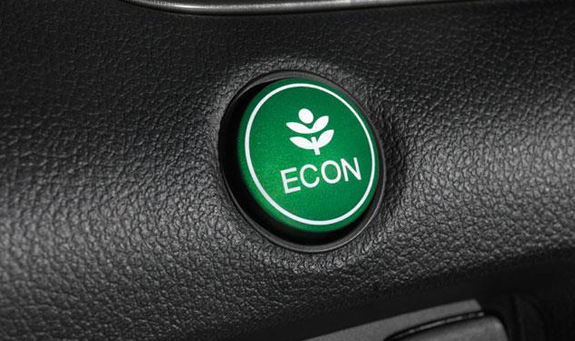 Eco Assist is fitted as standard to many Honda models, including the Civic, CR-V, Insight and CR-Z. 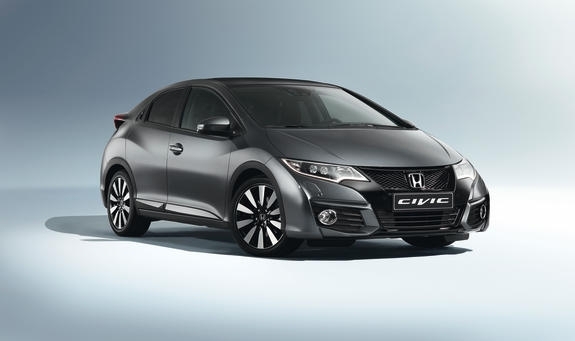 Numerous models in the Honda range come equipped with an ECON mode, including the Civic, CR-V, Insight and CR-Z. 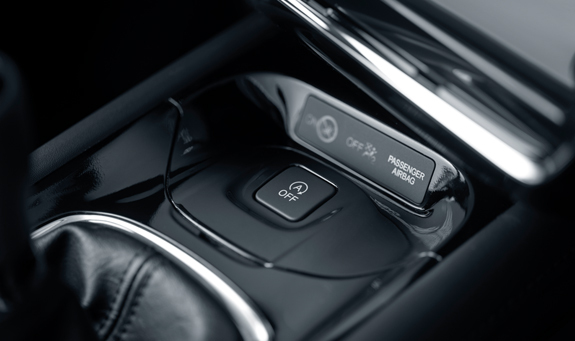 By selecting ECON mode, the driver chooses to activate the Eco Assist system outlined above. The ECON mode also alters vehicle functions to ensure the greatest fuel efficiency. Throttle response is altered for increased efficiency, while climate control settings are optimised to reduce the energy which they use. Honda's work on the Road to Zero Emissions looks at more than just the vehicle itself, but at the entire chain, from power production to recycling. Honda have recently launched the World’s first plant which recovers and recycles the precious metals used in vehicle batteries. Honda will collect used batteries from their Hybrid vehicles in Europe, the US and Japan and recover their precious metal content at the facility. These Rare Earth Metals are a precious and non-renewable resource, and so this new and unique ability to recover them from batteries is seen as a major milestone for us. In power production, Honda have developed a new and unique home power station for our FCX Clarity Hydrogen vehicle. The power station is currently on trial in Japan and uses Solar Energy to produce Hydrogen which can then power the FCX Clarity, and also your home, for complete zero emissions. At Honda's vehicle production facilities, we have developed a number of initiatives to reduce environmental impact. Changes to the vehicle painting process are saving millions of litres of water, while the addition of solar panels to plants is significantly increasing the amount of renewable energy used in vehicle production. A number of production facilities globally now operate a zero waste to landfill policy. Honda have research into the reduction of emissions extends beyond motor vehicles and into homes and have developed a range of power generation and power saving technologies which can be seen in the Honda Smart Home projects. The Honda Smart Home showcases technologies that enable zero net energy living and transportation. The Honda Smart Home is capable of producing more energy on-site from renewable sources than it consumes annually from the electric grid, including enough energy to power a Honda Jazz EV Electric Vehicle for daily commuting. A Honda-developed home energy management system and an energy efficient design allow the home’s occupants to use less than half of the energy of a similarly sized new home for heating, cooling and lighting. The home is also three times more water-efficient than a typical home. There are a number of Honda Smart Homes built globally for research and development purposes in Japan and the US. A reduction of environmental impacts to zero to achieve environment - friendly factories that local people can be proud of. Honda input a variety of resources and energy into their production processes to manufacture products. Honda is implementing measures to minimise the impact that its production activities have on the global environment, improving the working environment, and promoting symbiosis with local communities around its factories in order to develop them into “Green Factories” that local people can be proud of. Also, Honda are conducting various environmental conservation activities in cooperation with Honda's suppliers of materials and parts, encouraging them to obtain ISO 14001 certification.